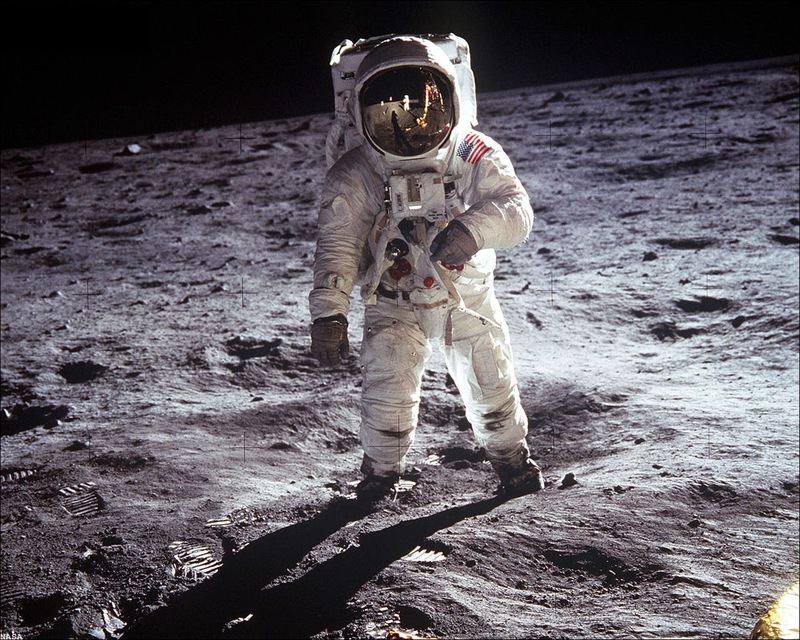 Although the Soviet Union was the first to put a man in space, the US decisively won the Space Race of the 1960s when they landed men on the moon in July 1969. Neil Armstrong, Buzz Aldrin and Michael Collins (no, not that one) landed on the Moon in Apollo 11. How did they do it? What did the world think? Learn about that in this case study. Why did the US begin the Apollo programme? What was its aim? What was the purpose of the first Apollo missions (especially Apollo 8, 9 and 10)? How was Apollo 11 designed? Who were the three astronauts who would travel on Apollo 11? How were they trained? How was the launch covered by the media? What were the three rocket stages? What were conditions aboard Columbia like? What equipment did the astronauts have? What did they do while on the moon's surface? Why? What did the command module face on the way back? Where did it land? What was the response they received? Results of the Moon Landing: What were they? 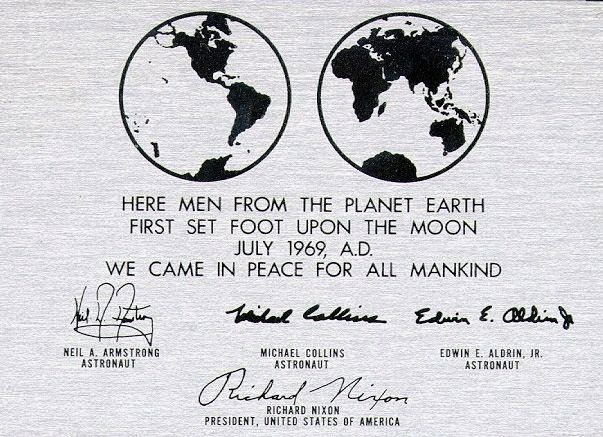 The plaque that Armstrong and Aldrin left on the Moon. It's still there, along with their footprints. 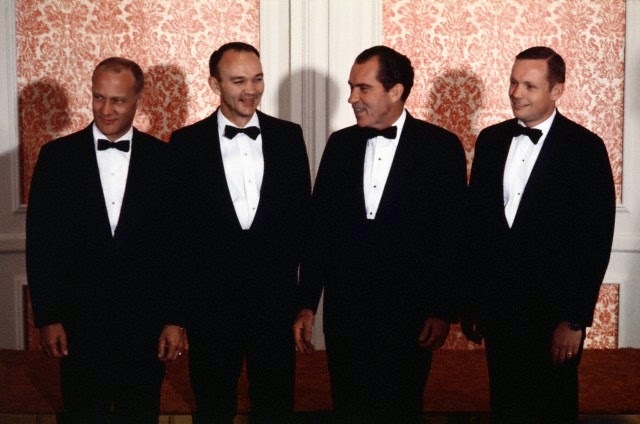 The Apollo 11 astronauts at an event to honour them with President Richard Nixon.